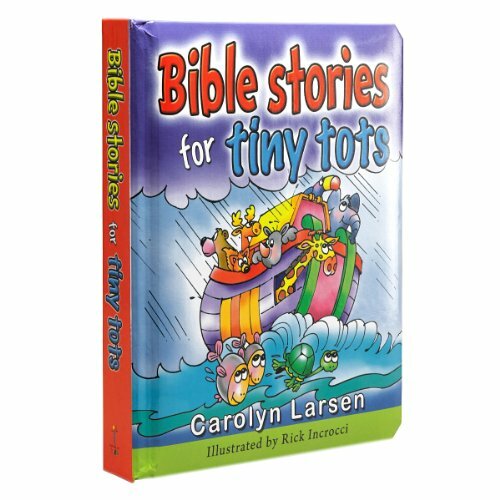 This adorable and endearing kids' book retells 16 best-known Bible stories in language targeted to children ages 3 - 6. Creative and colorful illustrations, prompts, activities and prayers give little ones a foundation of love for God's Word. Compact hardcover volume has padded front cover and brightly illustrated, sturdy board pages. Celebrated author Carolyn Larsen has written more than 40 books for children and adults. Text accompanied by Jim Engel illustrations. Presentation page for gift giving.